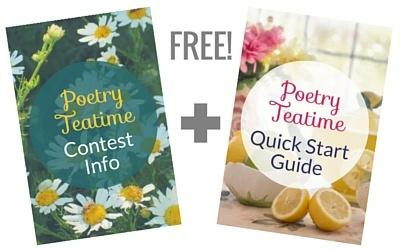 PLUS everyone who signs up now for advance information about the upcoming contest will receive a FREE Poetry Teatime Quick Start Guide! Just click the image below! This entry is filed under Contests / Giveaways, Poetry Teatime. You can follow any responses to this entry through the RSS 2.0 feed. Both comments and pings are currently closed. « Poetry Teatime: Poetry Pop!